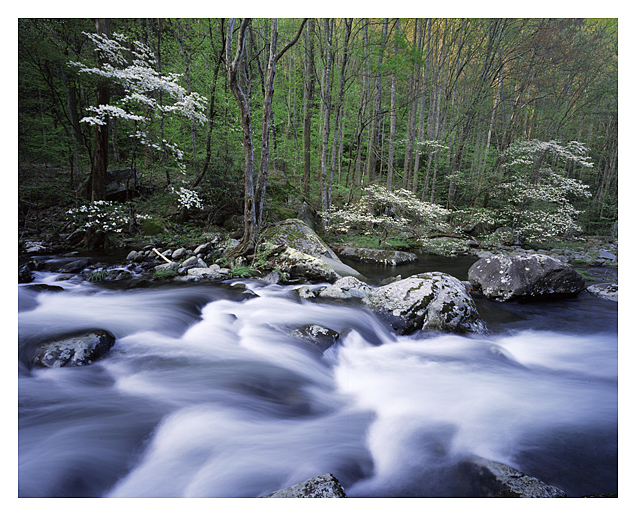 I am available for private guided tours and instruction in the Smokies, Blue Ridge Parkway, and surrounding areas. I also have extensive experience in the Southwest, including Paria Wilderness and Escalante, Zion, Arches, Canyonlands, and Capitol Reef, as well as Death Valley. Western adventures by arrangement. Full Day $650.00 for up to 2 photographers. Additional photographers $150.00 each up to total of 4. Half Day $475.00 additional Photographers $150.00 each to total of 4. Details of meeting and location by mutual agreement. Full day at $300.00 for up to 2 people, additional photographers at $150.00. Half day at $250.00 for first two, additional at $150.00. What's the difference? On a "tag along" I am following my instincts or portfolio needs for projects or personal art. I will make the most out of the day for personal goals, and you are tagging along. You still get all the photo talk, with instruction etc. as time and light allow. I will be shooting to the extent I need to for the day's objective. Call or write with questions to determine which is the best match for you. 50% Deposit by PayPal. Not refundable if you cancel, but applicable to future date. Postponements for weather related calamities and personal emergencies considered.